Thaddeus Young knows exactly how unsettling trade-deadline deals can be. Four years ago, while playing for Minnesota, he participated in the Timberwolves' first practice following the All-Star break on Feb. 19. Returning to his locker afterward, he checked his phone and learned he had just been traded to Brooklyn. "And they made me practice that day," he said. "I was pissed." That's why Young, as much as anyone, appreciates being part of a stable unit that was mostly left alone before Thursday's trade deadline passed. While several teams around the NBA underwent major reconstruction, the Pacers' front office sent a strong message that it doesn't consider this season a lost cause despite Victor Oladipo's injury. The players responded with a 116-92 victory over the Clippers that proved to be far easier than catching the bat that swooped down into the playing surface and forced two delays. 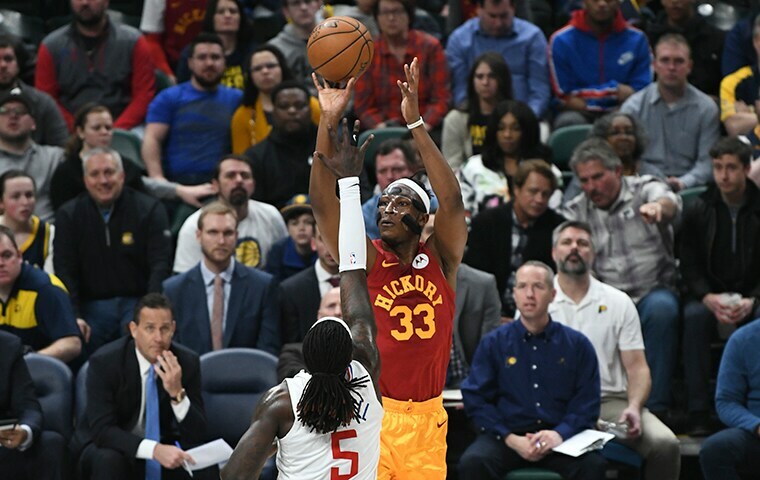 The Pacers did waive Ike Anigbogu, a 2017 second-round draft pick who had mostly played for the G League Mad Ants in Fort Wayne, after making a minor trade that isn't expected to add players to the roster long-term. Numerous reports also have cited the impending addition of a veteran player who must first clear waivers. The players viewed the day's activity as a net positive that only enhances their opportunity to build on their 36-19 record and third-place position in the Eastern Conference. Some observers were making the argument the Pacers should have taken their collection of expiring contracts and ship them off for whatever meaningful down-the-road assets could be obtained, to plan for the future and give up on the Oladipo-less present. To a man, the decision to essentially stand pat pleased the players. Particularly a guy such as Young, who turns 31 in June and doesn't want to waste any more seasons on losing teams. "If they had taken all the expiring contracts and shipped them off, that's a sign that, 'Hey, we don't think you can win, we think it's going to be a rebuild,'" Young said following another complete performance that included 14 points, five rebounds, four assists, and five steals. "I'm very happy they see us going forward as a team that can make some noise and do some things. Obviously it's going to be a tough road ahead. 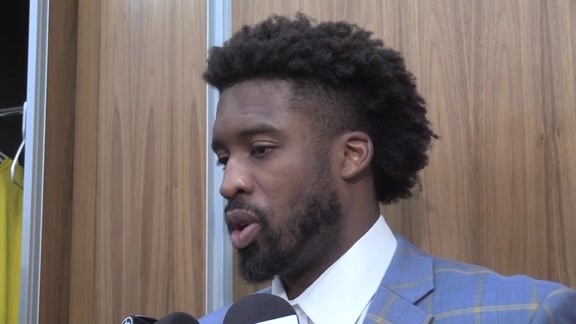 We know after the All-Star Game it's a really, really tough schedule, but we feel we're healthy enough to go out there and continue to get wins." 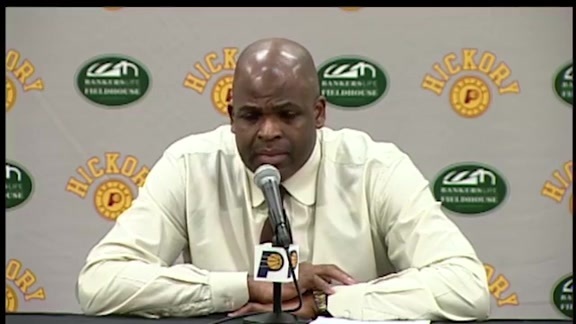 Seven days earlier, the Pacers were mired in a four-game losing streak following a loss in Orlando. They've since flipped that into a four-game winning streak with three more home games to go before the All-Star break, and another home game following that. It's difficult to put their current state into perspective, given all the circumstances. The Lakers, whom they defeated by 42 points on Tuesday, seemed burdened by trade rumors. The Clippers were ruptured by actual trades that removed their leading scorer Tobias Harris and left them with just 10 available bodies. And one of those, Angel Delgado, had flown in that day from their G League affiliate and was playing in his first NBA game. "This is a tough league," Clippers coach Doc Rivers said. "For the young guys, they're learning that." It's tough for players stuck with rebuilding teams, but not so much for those fortunate enough to be part of a winning team with immediate hope of winning. 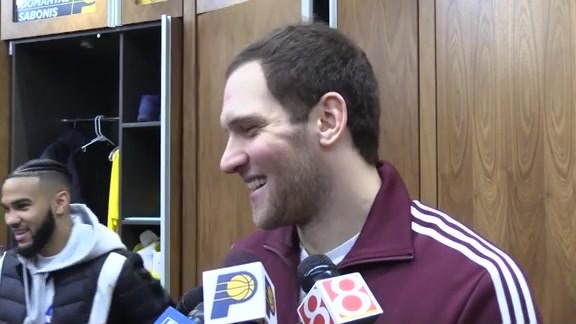 Bojan Bogdanovic, who experienced his own trade-deadline disruption when he was dealt from Brooklyn to Washington two years ago, is flourishing in his secure (for now) environment. He led the Pacers with 29 points while hitting 12-of-19 shots, his fourth game of 20 or more in the previous five. "I'm here in great situation," he said. "Team is in great situation. We are moving forward, the right direction. "I've never been in this situation - to be starter, to be one of the main guys on the team. That gave me a lot of confidence to shoot the ball the way I am right now." The Pacers have been clicking at both ends throughout most of their win streak, with balanced scoring and team defense. Myles Turner has been in the middle of everything the past two games with a rare combination of skills. Against the Lakers, he scored 22 points on 9-of-12 shooting with four blocked shots. Against the Clippers he scored 17 points on 7-of-8 shooting with six blocked shots. They aren't routine blocked shots, either, but rather out-of-nowhere attacks from the weakside or backside that meet opposing players for rude awakenings at the rim. He also hit all three 3-pointers in both games, unprecedented marksmanship for a league-leading shot blocker. He attributes it all to his offseason workouts that improved his quickness, agility, and stamina. "I feel like I'm moving a lot better," he said. "The last couple of years it was like a nuisance for me to move side-to-side. I worked a lot on my core, my hips, my glutes, and I feel it's paying off for me. "I don't get tired as much. My body doesn't ache and hurt as much. I can feel it. It's so great." He also gives credit to his upgraded diet, with help from a personal chef. Continuing to eat properly on the road is a challenge, however, and he admits to allowing himself to "venture off" at times. The most recent occasion was in New Orleans, where the Pacers played on Monday. Turner splurged on jambalaya and other classic southern offerings. Perhaps it was a coincidence he hit just 5-of-17 shots in that game. Perhaps not. And perhaps it's a coincidence the Pacers are thriving amid the front office-imposed stability. But perhaps not. 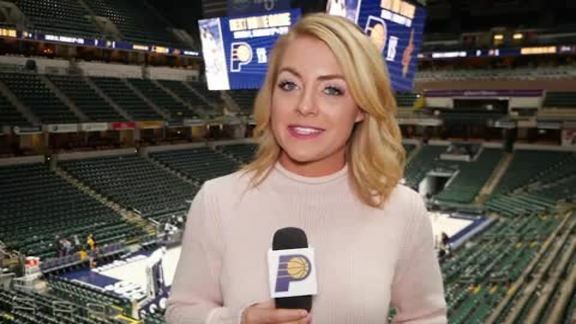 Players didn't approach President of Basketball Operations Kevin Pritchard with a plea not to break up their happy home as they did last season, but conversations took place to get a read on the group temperature. 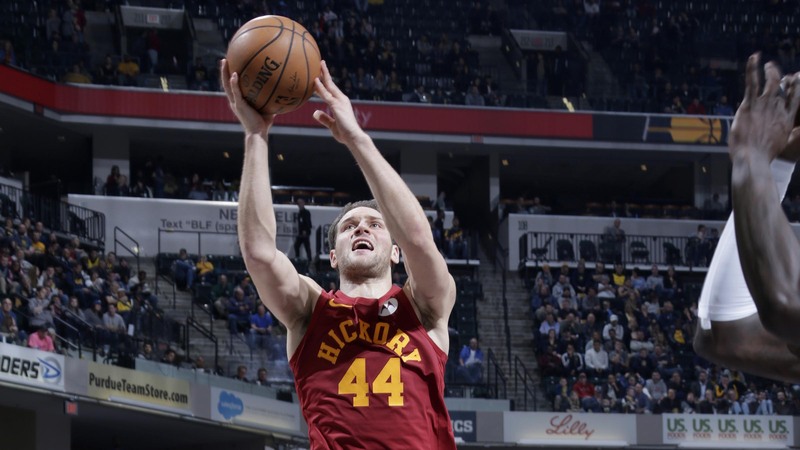 The desire to remain intact hadn't changed, and the core players were confident they still would be Pacers when Thursday's 3 p.m. deadline passed. By 9:30, the front office's show of faith had been rewarded. "We definitely want to stick together, because we feel we can compete with anybody in this league on any given night," Young said. "They listened to our hearts. "I'm just happy I'm still here. I'm happy I'm still rocking out with my guys. I'm ready to take this thing to the next level and continue to win games."